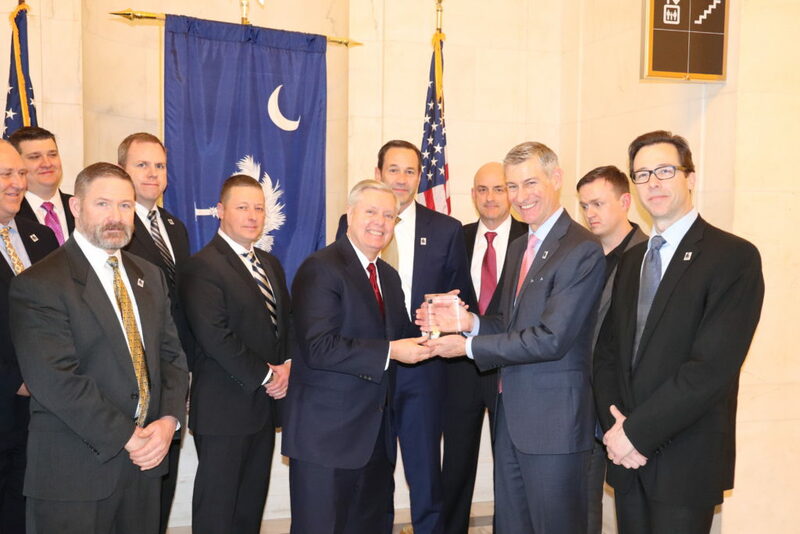 WASHINGTON – The Warrior Protection and Readiness Coalition (WPRC) is pleased to announce that Senator Lindsey Graham (SC) and Congressman Lou Correa (CA-46) have been awarded the 2019 WPRC Sentinel Award for their legislative leadership on behalf of the domestic defense industrial base that supports U.S. servicemembers and homeland security personnel. The Sentinel Award specifically recognizes members of Congress for their efforts to provide high quality, American-made personal protective gear, uniforms, footwear and equipment to the Federal government at the best value to the taxpayer. The WPRC is now leading efforts on Capitol Hill to ensure that best-in-class, American-made equipment is provided to the operational agencies within the Department of Homeland Security. The Homeland Security Procurement Reform Act is expected to be introduced in both the House and the Senate this spring to help ensure that American tax dollars are spent on high-quality, American-made uniforms, footwear and personal protective equipment. The Warrior Protection and Readiness Coalition (WPRC) Sentinel Award is the association’s highest honor, presented annually to policymakers who have demonstrated extraordinary support for the American industry that manufactures advanced combat clothing and equipment for the Armed Services and Department of Homeland Security. WPRC member companies strive every day to provide innovative, advanced solutions to ensure that our armed forces are prepared for any encounter, anywhere in the world. Senator Lindsey Graham represents the State of South Carolina. He serves on the Committee on Appropriations, the Committee on Foreign Relations, the Committee on Budget and Chairs the Committee on the Judiciary. Congressman Lou Correa is from the 46th District of California and serves on the Committee on Homeland Security and the Committee on the Judiciary. U.S. Senator Lindsey Graham accepted the 2019 Sentinel Award presented by WPRC Executive Director David Costello (right) and WPRC Chairman Frank Montie (far right). 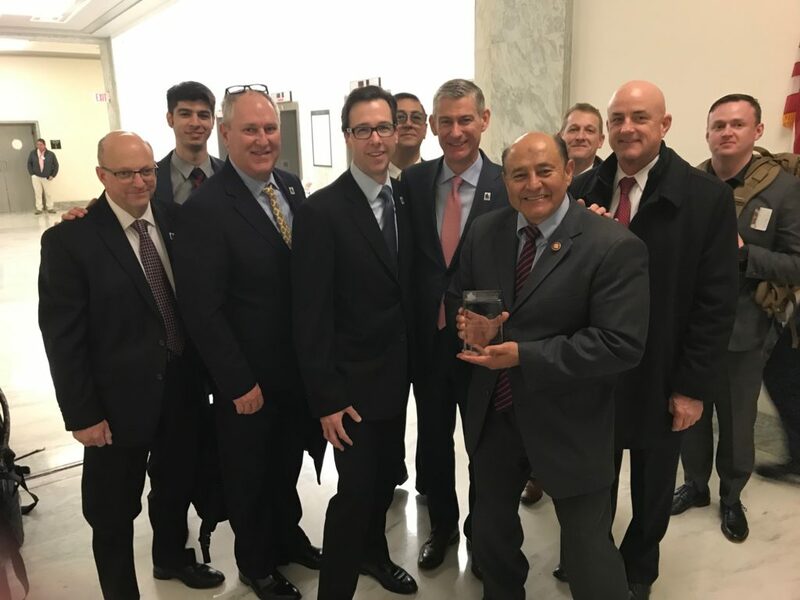 U.S. Representative Lou Correa accepted the 2019 Sentinel Award presented by WPRC Executive Director David Costello, WPRC Chairman Frank Montie and members of the WPRC.